The center image is the first of 5 released from the session, the vast emptiness of the Tularosa Basin can be seen in the background. The sun is rapidly setting throughout the shoot further enhancing the dramatic triple exposures. One of Bowie’s many skills was to remain incredibly still and poised. This made him the perfect subject for these high-risk shots. By keeping his head completely still, only moving his arms and hands the full effect of the triple exposure is achieved. 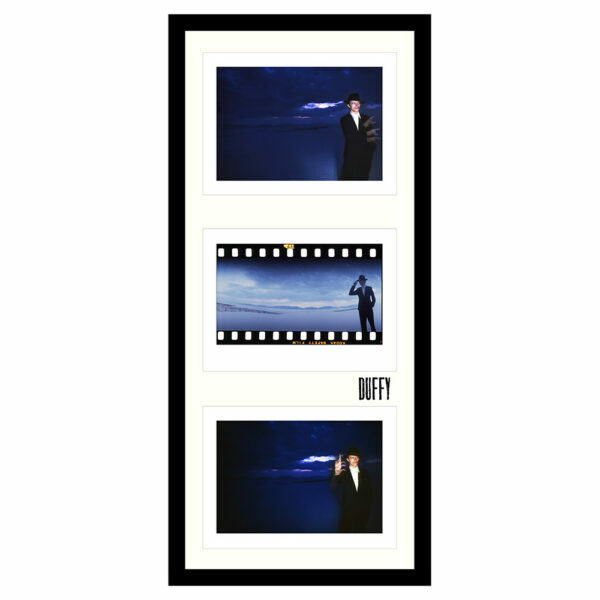 The top image – Thin White Duke #2 and the bottom image – Thin White Duke #3 show this in full effect.